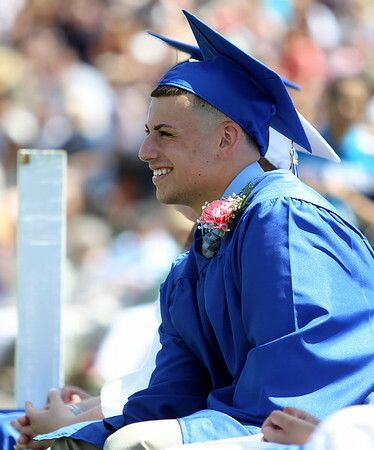 Danvers High School graduate Anthony Cordoba flashes a smile while listening to classmate Ryan Heber's speech "Gibberish: An Art Form" during graduation on Saturday afternoon. DAVID LE/Staff photo. 6/7/14.